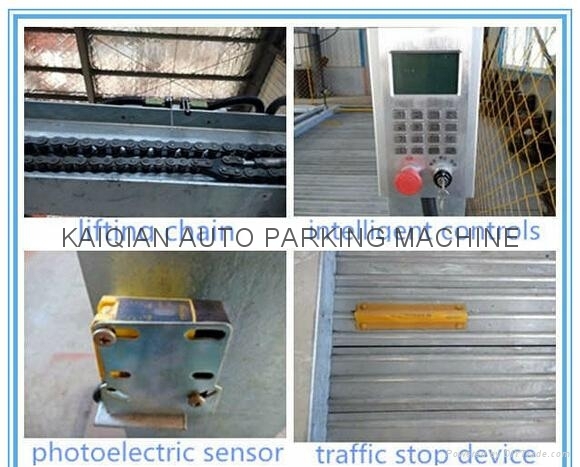 The equipment is designed as 3-levels (1 level underground in a pit and 2 levels above ground) and multi-rows automatic parking system. The middle level is designed with a spare space for exchanging spaces for other cars. 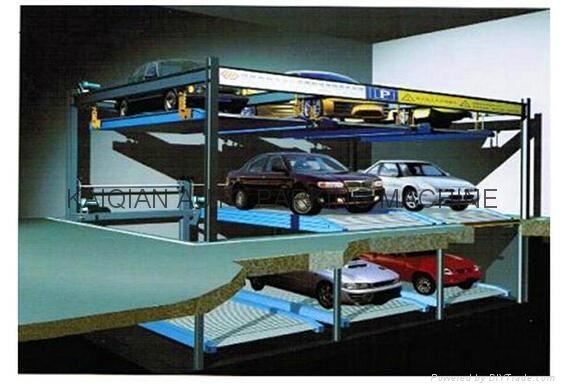 The bottom and top level cars can be lifted vertically automatically by the drive of motor, and the middle levels cars can be slided horizontally automatically to give a vacancy for the car from top or bottom space. When the car reach to the ground level, it can be driven in or out easily. 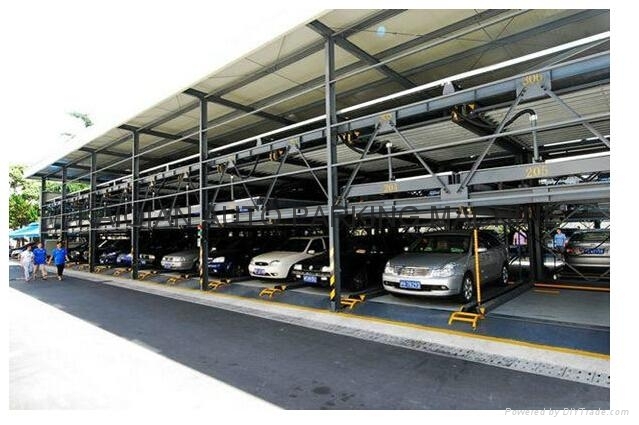 1,Multi-deck parking facility can create more parking space with higher space utilization rate. 2,Directly installed on ground,easy for construction,saving construction time. 3,Safety highly guaranteed.The system has the following safety protection devices:fall prevention,urgent stop button,beyond limit running prevention,front and rear improper parking photoelecttic detection,over-height detection and alarm.